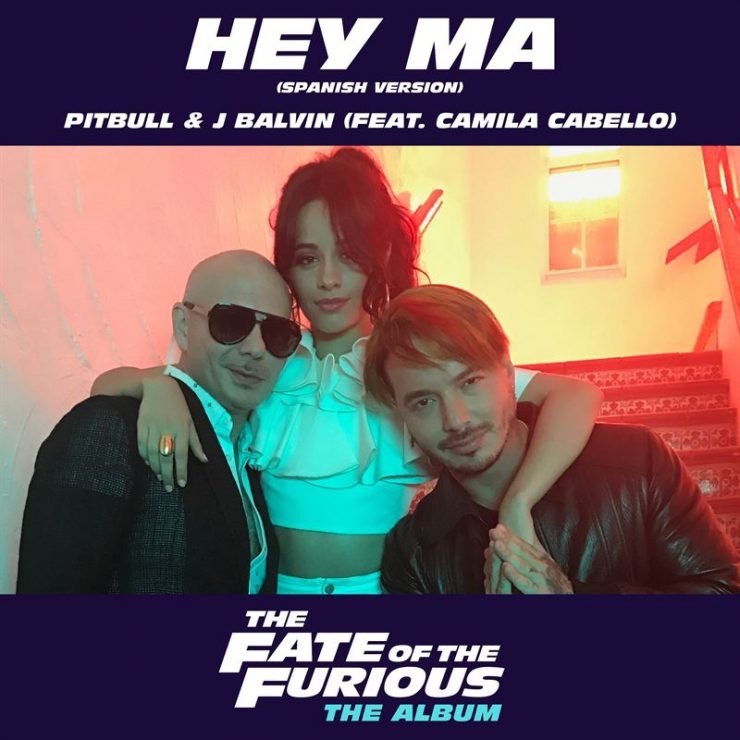 Telemundo will premiere the official music for the Spanish version of, “Hey Ma” by Pitbull & J Balvin (ft. Camila Cabello) tomorrow, Friday, March 10. The music video is set to receive an abundant amount of promo on Telemundo and Universo. According to the networks, the premiere will begin on Un Nuevo Dia, which airs at 7/6c in the morning. The promotion will continue throughout the day with exclusive behind-the-scenes clips and interviews airing on Acceso Total (10/9c), Suelta La Sopa (2/1c), and Al Rojo Vivo con Maria Celeste (4/3c). Universo will join in on the promo party by airing the complete video on Monday. NBCUniverso.com and Telemundo.com and the related social media networks will also be providing support for the song and video. “Hey Ma” is the second song to be released from the official The Fate Of The Furious soundtrack. The entire soundtrack and the movie itself arrive on April 14.